Landspace are a multi-award winning, garden design and build company. Established in London over a decade ago they quickly gained a reputation within the landscaping industry for their innovative design and high quality finishing. 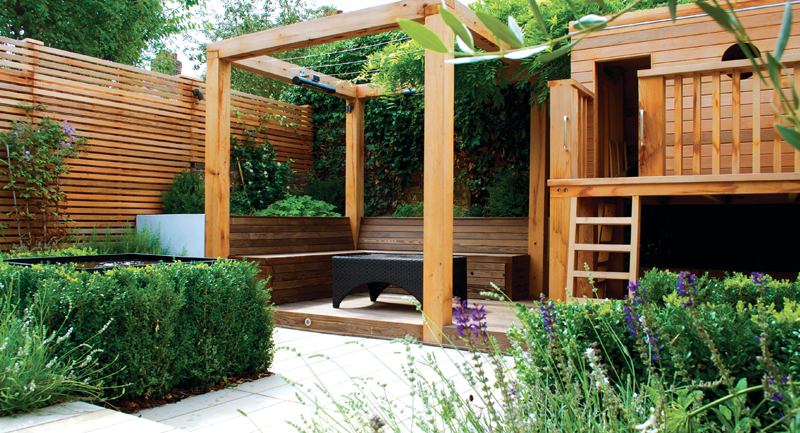 They are dedicated to creating beautiful, bespoke spaces and designing every garden to meet individual needs. Providing all the professional services required in transforming your outdoor space, Landspace aim to exceed all your expectations. Why open an office in Suffolk? Suffolk is a beautiful county and many of the people working at Landspace have family and friends living here. We all love nature so much and there is a lot going on in this breathtaking part of the country, so we thought, why not open an office here. If you love walking you have probably crossed paths with one of us meandering our way along a coastal path, strolling through Tunstall Forest or taking in the wildlife at Minsmere and Redgrave Fen. We have also been known to frequent The Pump Street bakery at Orford for a sneaky coffee and doughnut or a superb lunch at Alder Carr Farm at Creeting St Mary. What are the benefits of a company that specializes in design and build? Every project undertaken receives a very personalised service and we never work on more than one job at a time. Because we have our own team of highly skilled craftsmen, in-house garden designers and planting consultants we are able to offer a seamless service from start to finish. Also, we run to a schedule and know how long it will take to realise your project and you can be sure that your garden is the focus of our attention. Do I really need to get my garden designed? Having designed and built many projects over the years, everyone at Landspace would agree that having a comprehensive design in place is crucial when working with tight budgets. It’s all about making the best of the space you have and there are many tricks that designers have learnt that can help make your garden feel more spacious. Garden designers are trained to understand how to connect your outdoor space to the architecture of your house and its surrounding landscape and will be able to create an exciting space for you to spend time in. If you are not sure what to do with your garden why not email us at info@landspace.co or call 0845 805 1394. We are always happy to talk over your ideas.